Home Gadgets & Outdoor Gear Ticwatch Pro is Coming This Summer! 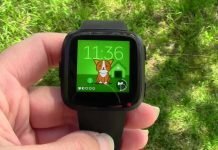 Ticwatch Pro is Coming This Summer! 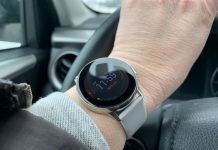 As I upgraded my Ticwatch E to newest Wear OS version, Oreo, yesterday I wondered when Mobvoi would be coming out with the successor to the Ticwatch 2. I’d always preferred the Ticwatch 2 over the Ticwatch E because of its’ build quality and its’ menu system. I think Wear OS could learn a thing or two from the original Ticwear OS. 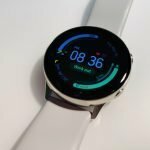 Anyway, I was happy to learn today that we will be seeing a new Ticwatch coming in the Summer of 2018. A landing page for the new watch is on Mobvoi’s website and can be found here. 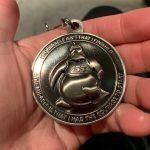 Update: We now know the release date. All we’re given is a picture and no other details, other than it’s supposed to be a Wear OS watch with “unrivaled battery life”. It is called the Ticwatch Pro, so I’m assuming this is the “Ticwatch 3” I’ve been waiting for. More details of the watch are available on The Verge. 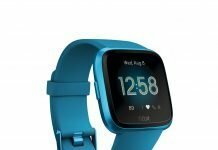 The Ticwatch Pro will have two screens, according to The Verge. The reason why is to improve battery performance. This is a cool feature and not the first time it’s been done. Casio actually did this with a hiking watch. The basic premise is that the top screen would be the more efficient screen. As I understand it your steps and activity data would still be displayed on it, as well as the time of course and supposedly if you only ran this screen. The battery life is near 30 days. That’s impressive! The bottom screen would be the OLED screen, again I’m assuming since we don’t have tons of information just yet about the product. But this is the screen that Wear OS would be displayed and all the functionality of Wear OS could be utilized. I really like this idea because most of the time throughout my day, I’m only interested in knowing the time, the date, and how many steps I’ve taken. Of course, I would prefer to get my notifications too and I’m not sure if those will show up on the efficient (top) screen. I hope so. Even if I may not be able to interact with those notifications when using the top screen, I’d still like the see them. I can see myself using the two screens in a practical way. 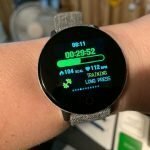 Most of the day I’d have the top screen on and when I wanted to use an app on the watch like View Ranger which I enjoy using a lot for hiking, or Google Assistant, etc., then I could fire up the Wear OS screen and know that the battery will take a hit but also know that I’ll probably still have enough battery left to actually be able to use those apps. Of course, at night I could turn on the top screen and save tons of battery life. The two screen option would be ideal for those working 8-12 hours a day. It’s not like most workplaces allow their employees to text and talk through their watch anyway while at work, so turning on the battery saver screen would make a lot of sense in those cases. I’m really interested to see how this will work. 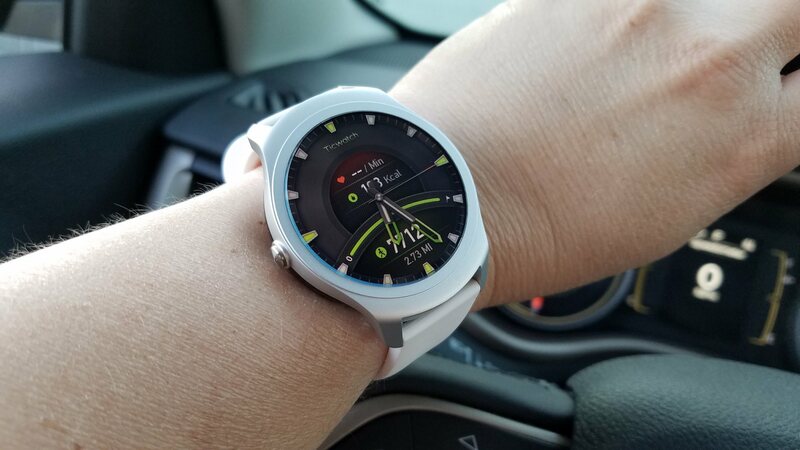 I’m also excited about the Ticwatch Pro because it looks like we’re going to get that better build quality again in a smartwatch that can double as a good fitness tracker too. That’s one of the best aspects of a Ticwatch. They’re very good smartwatches but they’re also decent at fitness tracking too. 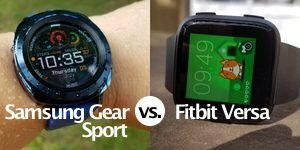 Most smartwatches aren’t so great at fitness tracking. I want a watch that does both of those things very well. 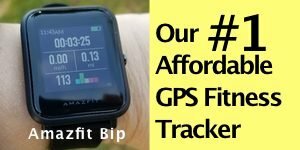 I’m hoping the Ticwatch Pro has a better built-in GPS and HR sensor than the Ticwatch 2 and S & E versions. 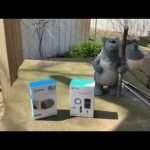 I’m also hoping for a better speaker and a better water resistance rating. I’m eager to see the full specs and of course, I will share that with you as soon as I find out. It looks like there will be a LTE version of the Ticwatch Pro too, which may excite many of you. I’ve never been enticed by a smartwatch that can be a stand-alone phone on my wrist, mostly because their battery life is usually terrible and I don’t want to pay another monthly fee for the service. We’ll see what I think about later. Anyway, the Ticwatch Pro is for sure a watch I’ll be reviewing. After all, it was the Ticwatch 2 that turned me on to smartwatches in the first place. 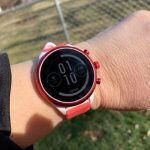 Read my review of the Ticwatch E.